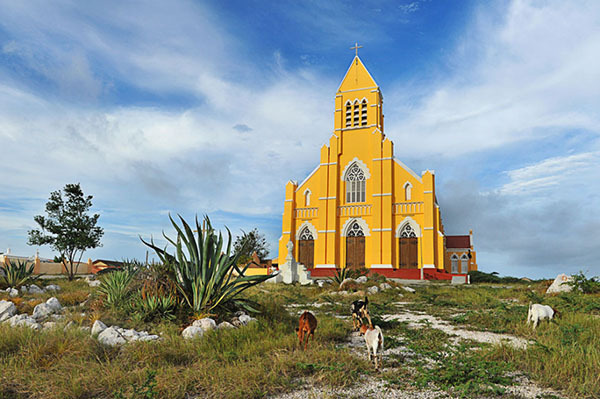 Though the country of Curacao suffers from the “homonym syndrome” often getting confused with the local orange bitter liqueur or nearby Venezuelan metropolis Caracas, this cosmopolitan Dutch Antilles island is one of the jewels of the Caribbean. 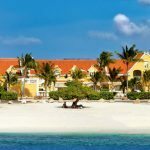 Throughout the island you may also hear the local colloquialism “dushi” which unlike its North American heterograph ‘douchy,’ is actually a term of endearment meaning sweet, which perfectly suits Curacao. 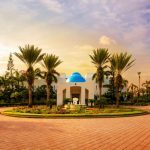 As a true melting pot in the Caribbean, Curacao is home to over fifty nationalities, with African and Caribbean roots as well as the prevalent Dutch and European influences that reverberate through the island that is reflected in its culture and cuisine. 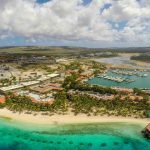 As Aruba is influenced by American culture, Curacao feels like the ‘Holland of the Tropics’ with a very European and Dutch vibe, marked by small cafes and architecture carefully preserved in the past. 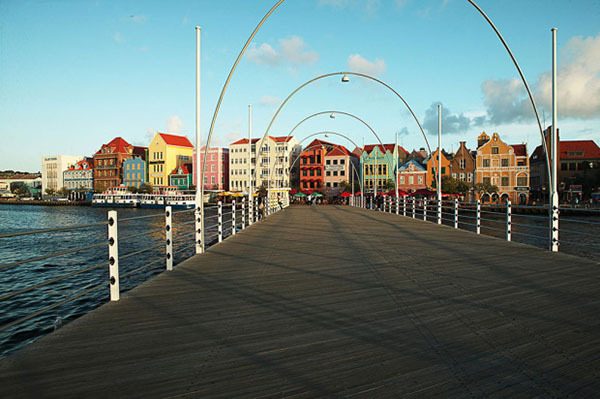 A prime example is the UNESCO World Heritage capital of Willemstad with the colorful and picturesque 17th century Dutch buildings along the wharf. Meander down cobblestone streets and relive the history of this colonial town by foot. Visit the lively floating market in Punda where locals shop from the Venezuelan schooners selling the catch of the day as well as local fruits, vegetables and flowers. Eat with the locals Marshe Bieuw, Old Market, a sort of food court with different stalls offering local fare that’s cooked in front of you. 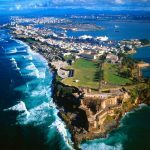 Admire the view from both sides of the harbor on the rotating Queen Emma Bridge that links the Punda to the Otrabanda with the Rif Fort which were once soldier’s barracks that have been reimagined as a unique shopping and dining complex. 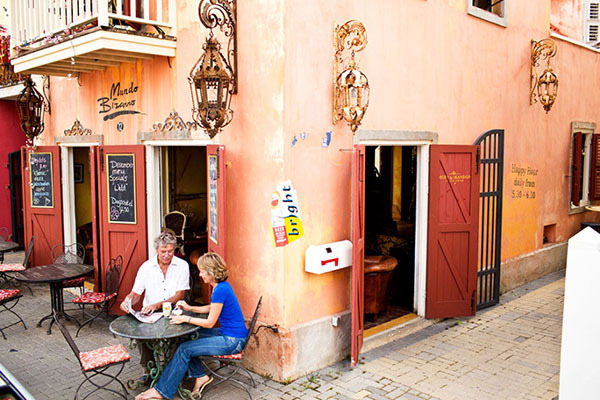 Dine at the famous Restaurant and Café Gouverneur de Rouville with panoramic views over the colorful waterfront. 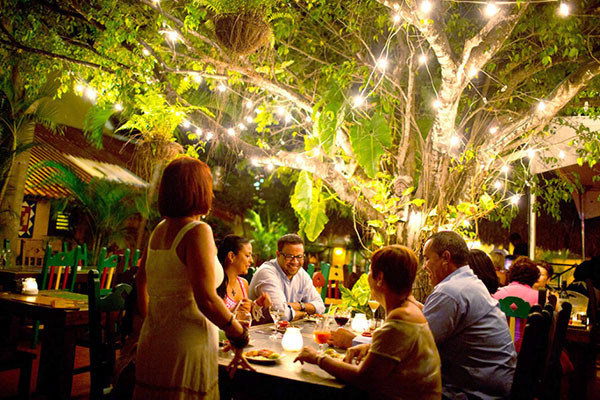 Housed in the former governor’s residence dating back to the 1800s, locals and tourists come for specialties such as Karni Stoba- a spiced Curacao beef stew, fish stew and other locally caught seafood with a Caribbean flair. The Motown soul bar and potent rum and Curacao drinks keeps the lively crowd going to the wee hours of the night, while the romantic soft lit courtyard is a perfect spot to unwind with that special someone. For authentic Dutch Indonesian cuisine, the zen like Tempo Doeloe is perched atop a hill offering a panoramic view over the bay making it a perfect spot to catch the sunset while enjoying a delicious array of delicacies. For nightlife, visit the colorful district of Pietermaai. With architecture similar to New Orlean’s garden district, these former mansions fell into disrepair but have recently been renovated and painted in a sunny Caribbean palette with shops and restaurants reflecting a bohemian spirit. Soak in the chill European vibe of the island at the gorgeous Saint Tropez Ocean Club located in Pietermaai. Awash in all white with lounge music in the background and the ocean below it feels like you could be in Miami or the Cote d’Azur. If a picture is worth a thousand words, the 38 coastal beaches of Curacao are worth a million. The island is known for its abundance pristine white sandy beaches with warm and calm water in varying hues of aquamarine and cobalt. The best beaches of the island are in the remote Wild West End offering unparalled diving and snorkeling. Finding these quiet and uninhabited snorkeling spots can be difficult to navigate but well worth the effort and best reached by car. Take the time to experience the power of nature at the Shete Boka National Park with its awe inspiring caves and otherworldly landscape. 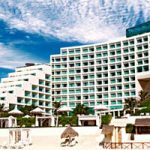 One of the most popular beaches is in the upscale Jan Thiel residential neighborhood with plenty of lounge chaises and beachside cafes overlooking the bay. Dine on the sand at Zanzibar- a charming spot reflecting the warmth and coziness of East Africa serving an international menu of specialties along with the best pizza on the island. 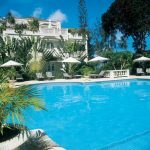 For luxury apartment style living within walking distance of the beach is the Livingstone Jan Thiel Resort. Set amongst a lush tropical garden are well equipped one to two bedroom villas that offer an expansive terrace and kitchen making it a perfect home away from home to relax and enjoy an extended holiday. 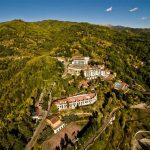 With its central location you can explore the charming area of Jan Thiel or simply laze by the stunning pool. The biggest festival of the island, and possibly in the entire Caribbean region is the Curacao North Sea Jazz Festival held every August. Celebrating the best in pop, soul, R&B, jazz and everything in between, this event has grown exponentially each year attracting world class headliners and music legends such as Bruno Mars, Janelle Monae, Rod Stewart, Smoky Robinson, Nile Rodgers, Mana and more. 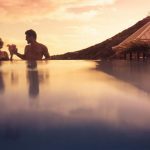 Historians often credit the meaning of Curacao to be the “heart” in Portuguese with its central location as a place of trade drawing explorers, slave owners, pirates and opportunistic entrepreneurs, but today it symbolizes where your heart will stay once you visit this beautiful and unspoiled gem of an island. Getting to this slice of paradise from New York City has never been easier as Jet Blue is launching the first direct route from JFK to Curacao this December.